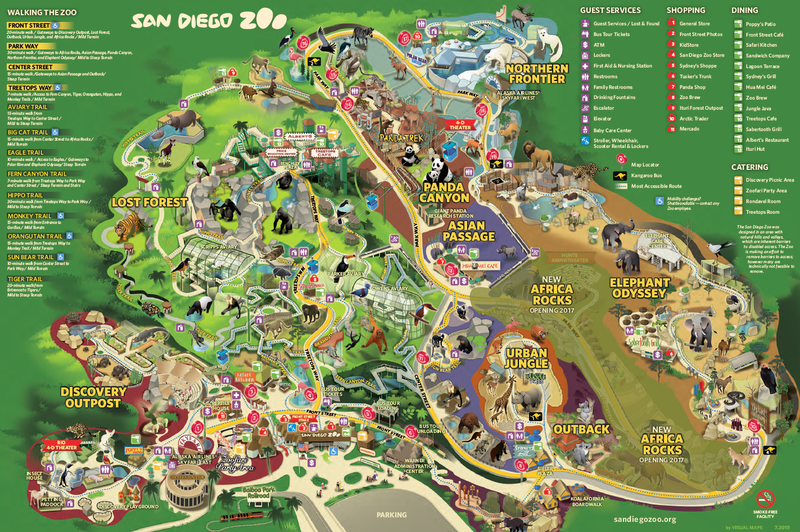 The San Diego Zoo is located in the Northwest corner of Balboa Park in San Diego. The zoo is very large when compared to your typical zoo spanning 100 acres of beautifully landscaped terrain and is home to more than 3,000 animals in enclosures that for the most part try to replicate their natural habitats. The San Diego Zoo has been voted 2015 TripAdvisor Traveler's Choice #1 Zoo in the world and it is not hard to see why based on my most recent trip here. If you plan on trying to see every exhibit, I would recommend getting to the zoo early and having a plan. Planning your day at the San Diego Zoo is a must as it is very large and will require lots of energy and good walking/hiking shoes. The San Diego Zoo Map, shown below, offers a great visual of the zoo grounds and lots of good information on the most accessible trails, dining locations and bus tour stops. I would recommend reviewing the map before your trip and planning your way around before you go. Walking: Be prepared for hills, steep inclines and lots of walking. If you plan your way around the zoo beforehand, you can avoid having to walk up hill and expending lots of energy in the process. SkyFari Aerial Tram: Soars above the zoo and gives a great overview of the layout of the zoo grounds. If you happen to plan your visit during peak times of the year, anticipate long wait times, 45 minutes or more for the bus tour and aerial tram. Use the Zoo Map I added below to follow along for my recommended navigation plan through the zoo. 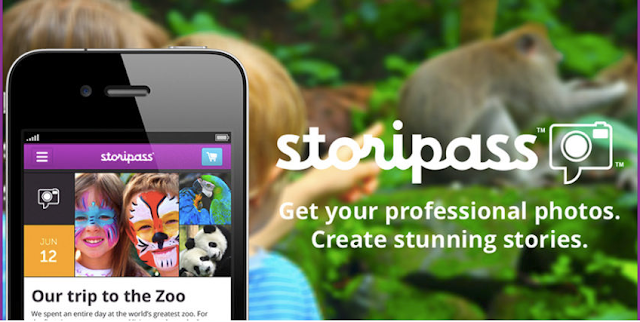 Next you can decide if you'd like to take a bus tour and/or Skyfari Aerial Tram to get a different perspective of the zoo. You could have lunch at one of the zoo dining locations and/or visit the zoo shops for souvenirs if you'd like. In order to complete this plan through the zoo, I recommend to start right when the zoo opens to avoid crowds. There are numerous ways to visit the zoo and navigate it and choosing what's best for you and your family will come down to your personal preferences. As you are leaving the park, you'll notice the long lines to get in and overall busier crowds around the park. The San Diego Zoo offers a photo service called Storipass, which lets you get digital and some printed picture packages throughout the zoo where photographers are located. I ended up taking pictures at each of the offered locations since I wanted to see what the service was all about and since I like the photos these types of services offer. When you visit the Panda Canyon area you will run into an area where they'll take your picture on a green screen background, where they'll superimpose pandas and a jungle background and offer to sell a picture package for ~$20-30 or an overall StoriPass package for ~$55. You'll get digital copies of all of your photos, as well as the printed panda package if you decide to purchase the overall package. 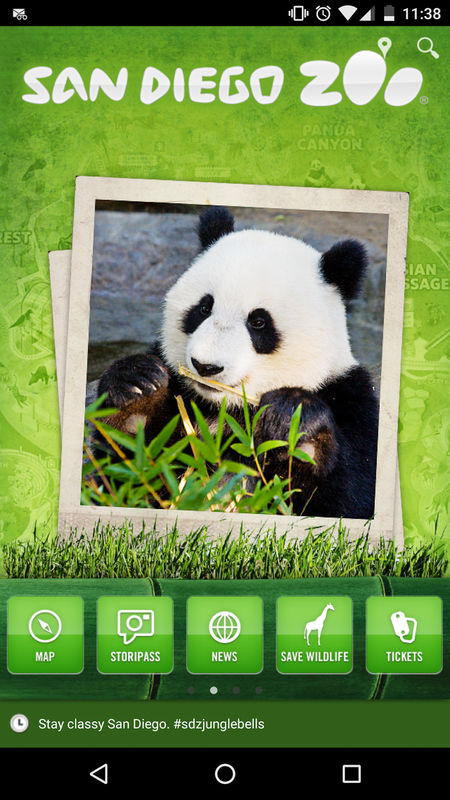 The San Diego Zoo offers a mobile app for iPhone and Android and can help you navigate your way around the zoo during your trip. Stay tuned on my tips on saving money on tickets to the zoo and other attractions and where to stay during your next trip to San Diego. 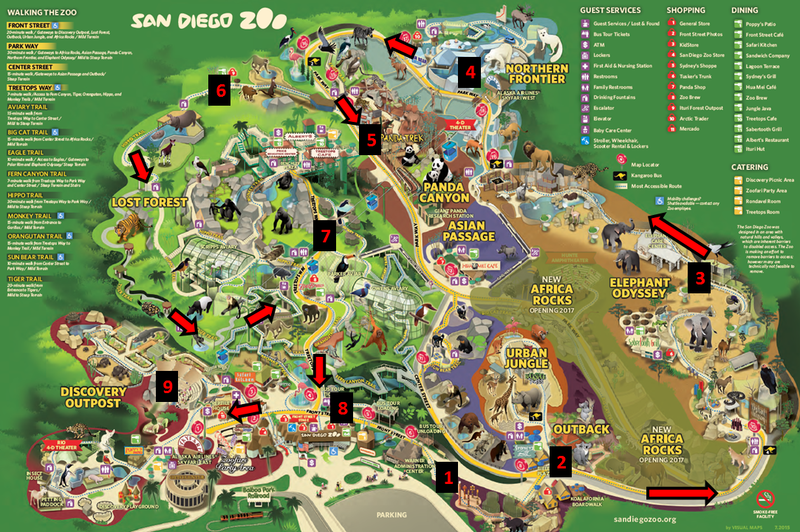 If you're planning a trip to the San Diego Zoo or have previously visited the zoo, what tips would you recommend?